The10th edition of the Punta Cana Revealed Travel Guide, published in January 2012, was voted by TripAdvisor participants as the “best and most current guide” for the fast-growing Punta Cana area. 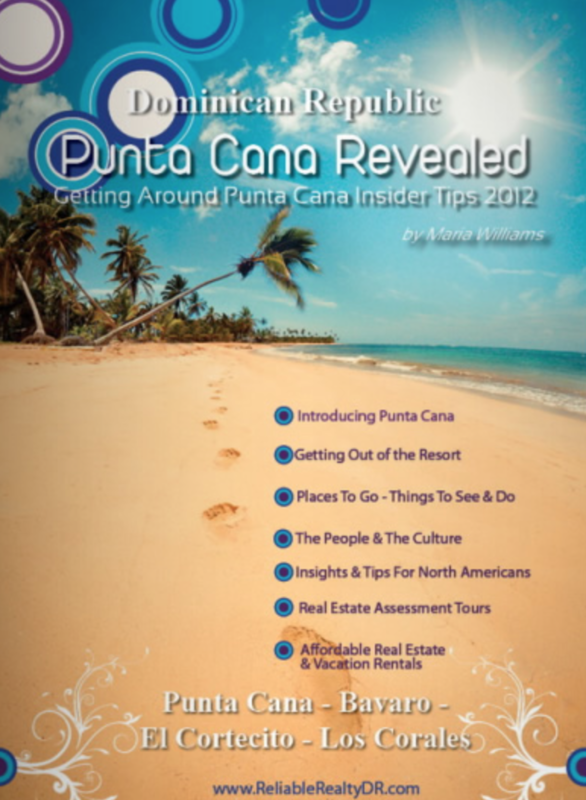 This 90 page, full color magazine was an authority on Punta Cana – where to go, things to do, the culture, vacation rentals, real estate assessment tours, and a report on the Punta Cana real estate market. Unfortunately, the 11th edition of the "Punta Cana Revealed Travel Guide" is currently still on hold. We are sorry for this inconvenience and for our delay in publishing anymore editions at this time. Real estate sales and vacation rentals have been booming, and have been keeping our agency and staff very busy. New infastructure happens it seems neaerly overnight. New grand highways, reducing the drive time from bavaro to the capital. Santo Domingo by nearly HALF! Nearly all the land a short wak to the Cortecito/ Los Corales white beaches is now developed, or underdevelopment with new condo communities built by the beach; many sold out before even finished. We are not sure if the 11th edition of the Punta Cana Revealed Travel Guide will ever be completed. Perhaps Maria's retirement goal (only 3-5 years away). Crazy head-spinng growth to attempt to keep up withnow : ) !!! WOW!! !